The distinction between direct and database marketing stems primarily from the attention paid to the analysis of data. Database marketing emphasizes the use of statistical techniques to develop models of customer behavior, which are then used to select customers for communications. Consumer databases are primarily geared towards companies that sell to consumers. Business marketing databases are often much more advanced in the information that they can provide. This is mainly due to the fact that business databases aren’t restricted by the same privacy laws as consumer databases. The “database” is usually name, address, and transaction history details from internal sales or delivery systems, or a bought-in compiled “list” from another organization, which has captured that information from its customers. 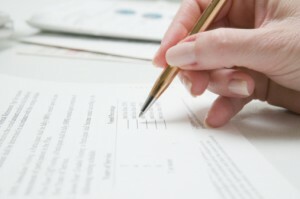 Typical sources of compiled lists are charity donation forms, application forms for any free product or contest, product warranty cards, subscription forms, and credit application forms. Why would my data not be clean? The biggest reason that data isn’t termed clean is due to human error! Human error can occur from the customer’s bad handwriting, to the data entry person having a small case of dyslexia. It also means that having the correct type of information in the relevant fields. An example of this would be placing company names within a field that has customer names, eg The Marketing Mix in the same field as Paul Wilson. There is no way this type of information to be split into a usable form without viewing every record within the database.The effectiveness of Database marketing can stem from the data that is captured and then entered into the database. It then becomes essential to have clean and regularly updated data. The next reason is that customers have a tendency of changing details without informing you or the customer details aren’t verified again after the initial entry into the system. The most common occurrence of this happening is with mobile phone and email details. With so many different email providers on the internet and ISP’s customers tend to change this specific detail every 1-2years. The same applies with mobile phone numbers, with so many deals out in the marketplace for mobile phones only a small percentage of people carry across their number from a previous carrier. Why does my data need to be clean? 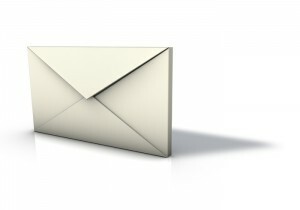 Direct mail is the biggest form of communication when talking about direct marketing. To keep costs down and high ROI it’s essential to have the correct addressing information. Earlier last decade Australia Post introduced a revolutionary system of keeping track of addressable and deliverable mail known as DPID (Delivery Point Identifier). When customer databases are checked against Australia Post’s DPID they are assigned a DPID for all relevant records, and given discount and even more based upon quantity. All other records are given a rate slightly smaller than your regular postage. Having a clean database essentially means that possibly more for your records will get matched with a DPID and a lower rate of postage sees a higher ROI for a marketing campaign. How do I keep my data clean? Keeping data in the correct filed is the first step to cleaning up a database. So keeping information separate as needed, and if there isn’t a suitable field create one. An example of this would be, C/O Paul Wilson, 307 Selby Street North. Here you can see that we have some attention information and some address information. It’s best to have the C/O Paul Wilson within a separate field. Eliminating carriage returns within a field to house more information that could be split up. By checking the database quarterly even if only a small portion of it for this these things although time consuming will down the track pay off. How do I keep my data updated? Keeping data current is time consuming but essential. If you are in a client facing business the easiest way to do so is at point of sale, this is potentially the best way to do so but is time consuming. Alternatively an online form for you customers to enter their relevant information, could be easy on your time, but then relies on the customer to enter the information. Lastly you could always use a customer details form, which can be given to a free staff member or a data entry consultant to input for you. The set back with this option will always be that some peoples hand writing isn’t always clear leading to data entry mistakes. Best methods for keeping a database To utilize your database it’s better to have more information than not enough. It’s great having a contact name, but it would be better to have the contact’s first name and last name. It’s even better if you have them as separate fields within the database, this allows you to personalize communications with your clients even further by addressing them by their first name. Summary Clean and up to date data helps you to communicate to the client effectively and also helps lower the cost of doing so. When you have a great campaign or deal on that will ensure that your clients will stay with you, these tips will help you communicate that information. The added bonus shows the end recipient of the communication, the professionalism of your business or brand. And your willingness to keep their business!